Do you need assistance in child communication development and care? 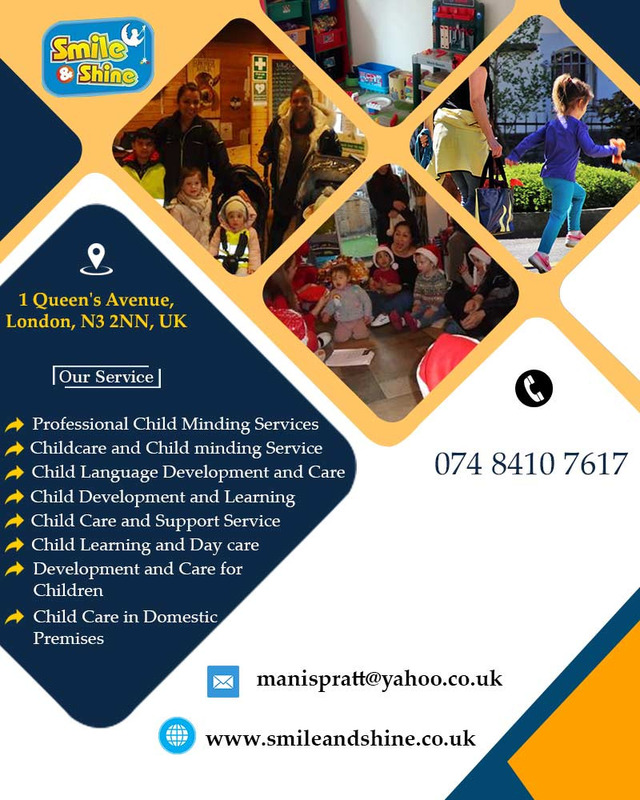 Are you located in Barnet and is searching for a professional to help you with skills and overall physical development for children? Your search ends here; Smile & Shine Ltd is your final destination. When you visit us, you will receive assistance from educated, trained and friendly experts. The founder has 9 years of experience in working with the children. Based on her experienced and reputation, you can expect assured services that will definitely benefit your child. Get in touch with the experts for accomplishing the job at a pocket-friendly cost. Hours of operation: Monday To Friday: 08:00 AM To 06:00 PM. Saturday & Sunday Closed.